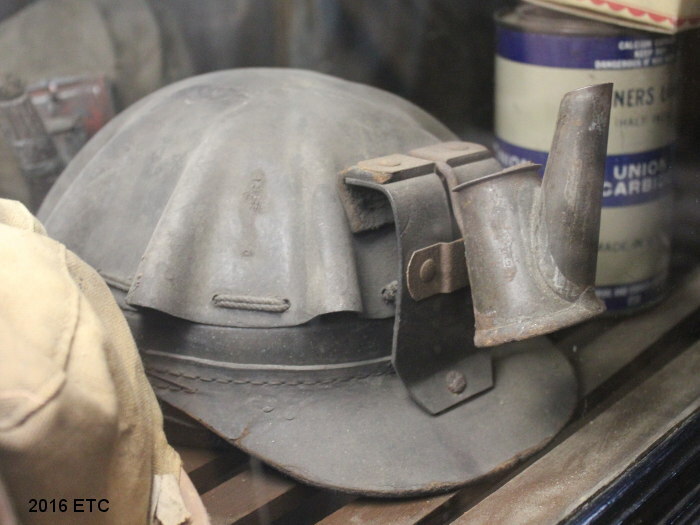 After our recent article on the lighting blog about lighting technology for caving I thought I’d check out the Argo Mill museum to see what artifacts they have. 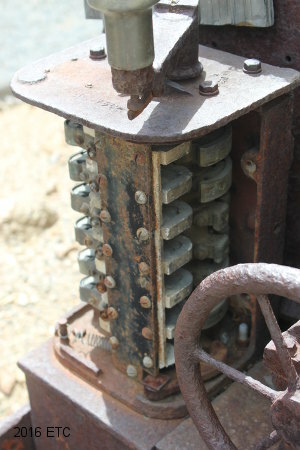 Despite the hostile environment of mines the “new” technology of electricity quickly lent itself to the industry of mining in the 1890s. 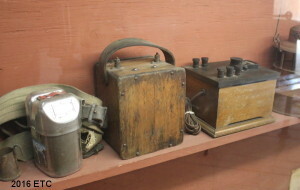 Oil and kerosene lamps were used by miners prior to the 1890s. 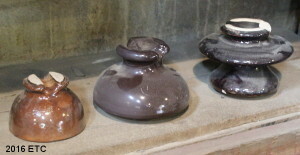 These lamps produced heavy fumes and were a problem when tipped. Despite these problems early miners had to deal with this and were always looking for a better light source. In 1891 Westinghouse built the Ames Power Plant near Telluride to light and power the Gold King Mine. While there were many problems to solve, the effort was generally a success and set an example of how electricity could revolutionize underground operations. 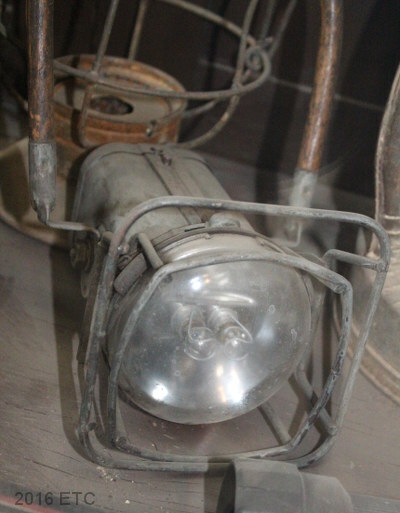 Around the same time Thomas Willson sold his patent of the carbide lamp to Union Carbide and the carbide lamp took the world by storm as they were good for everything from bicycles to lighthouses to mining operations. These acetylene gas lamps were great in how they could be tipped at angles as people negotiated narrow passages and they’d still work great. 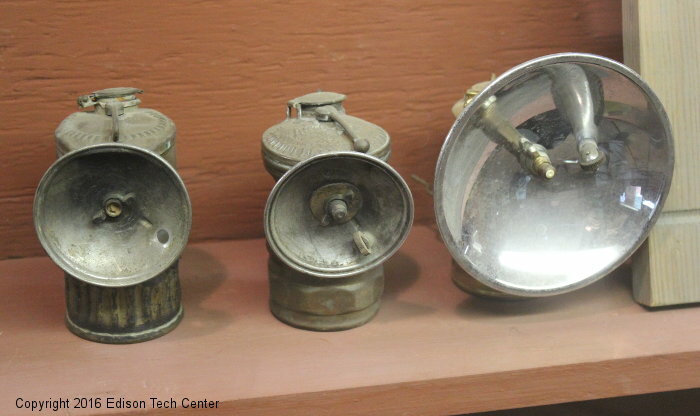 Different types of carbide lamps, these could be mounted on a helmet or there are hand held version with handles. The Argo Mill has some great artifacts on display of not only lighting technology but early telephone communications gear and dynamite detonation gear. Another way in which electricity revolutionized mining was the development of small powerful electric locomotives to haul carts of ore. These systems replaced the inhumane system of having donkeys drag the tons of rock out. 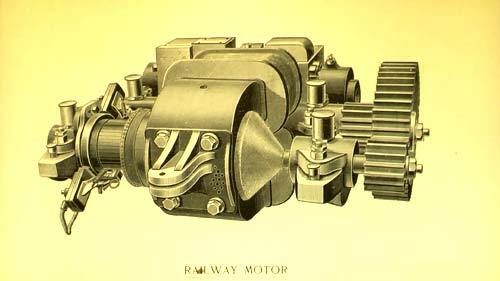 Elihu Thompson and other pioneers of the time worked on cutting edge powerful electric motors to drive these devices. 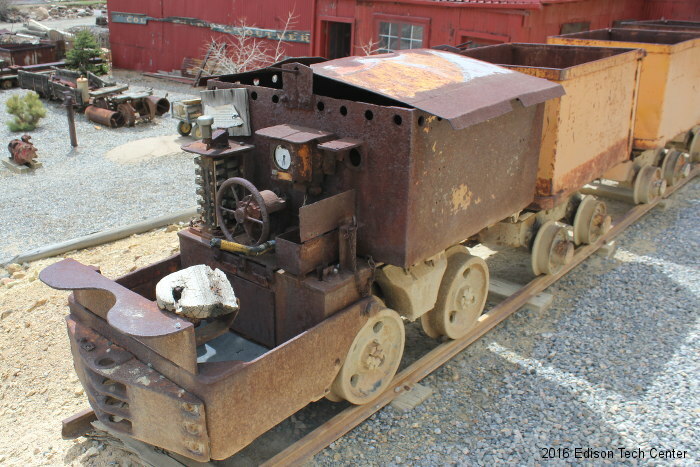 You can see an example of one of these small electric locomotives at the Argo Mill among other interesting artifacts of the 1800s. Electric Mule and ore carts. 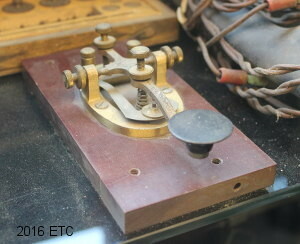 These had a pole that connected to power lines located on the tunnel ceiling. 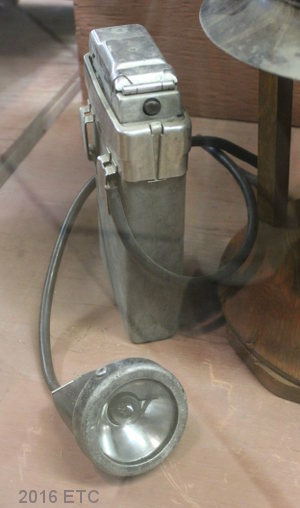 An electric mule motor designed by Elihu Thomson. 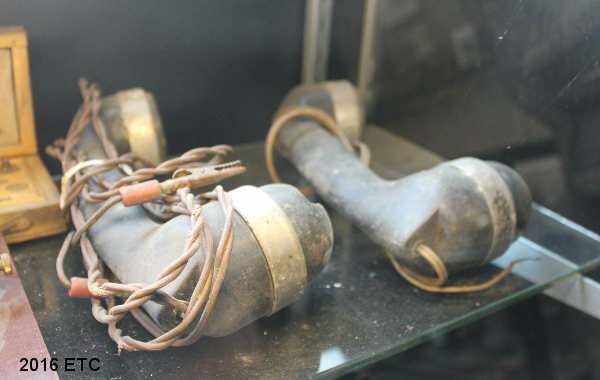 These were DC motors powered by overhead wires (catenaries). 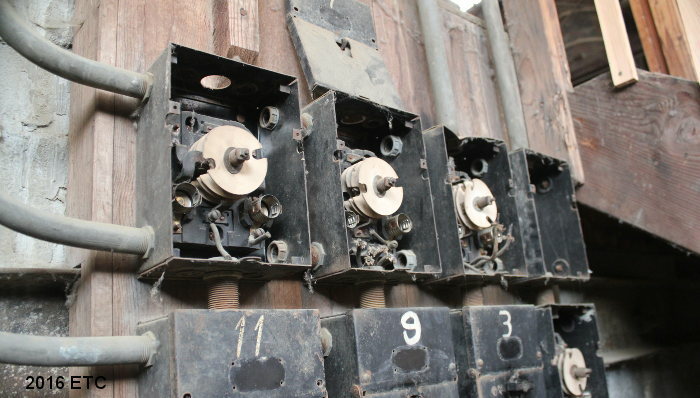 The floor of the mines were often wet so the ceiling was the safest place to put the wires. Electrical boxes located in the Argo Mill. Powerful electric motors turned belts that rotated machinery used to refine ore to extract the gold, silver, zinc, copper and other metals. An early electric headlamp for miners with battery pack. Glass and ceramic insulators used for telegraph, telephone and utility power in the mines. 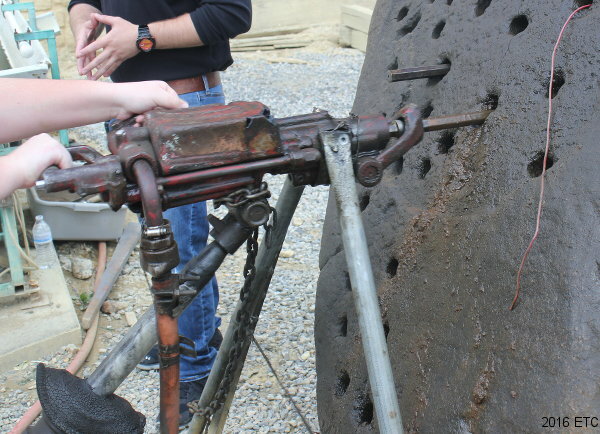 Steam powered drill used for boring holes into rock, later dynamite would be inserted. Early telephones which connected the mine workers miles underground to the surface. 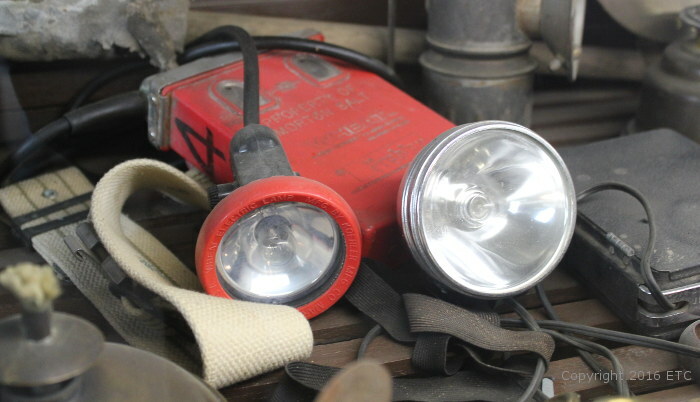 Also see our article on caving lamp technology history which is related to mining lamp history on our lighting technology blog.